As the Maelstrom creeps inexorably across the galaxy bringing Armageddon to world after world, many wars are fought in the shadow of once great cities. Where once were towering beacons of hope, the shining pinnacle of human endeavour, now lies ruin - seething hives of scum and villainy where only the strong survive. 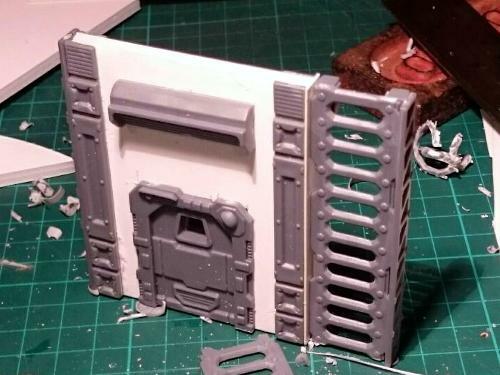 For those inclined to less flowery prose: I thought it might be fun to explore what could be done to create multi-level terrain using the Maelstrom's Edge terrain sprue, for games set within the gloomy nether regions of gigantic cities on those worlds where everything has just gone a little bit wrong. Within these cities would be various tall structures linked by ladders and catwalks - essential if you want to get around without having to leap onto the roof of a passing taxi! 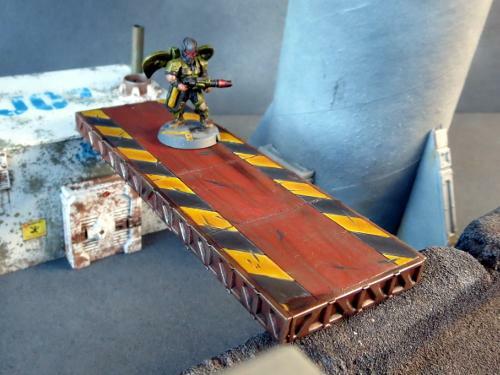 This is simply a strip of 5mm foamcore cut to an appropriate length, with some panel lines scored across at intervals with a razor saw (you could do the same with a hobby knife, but the saw helps to keep a consistent width and depth). 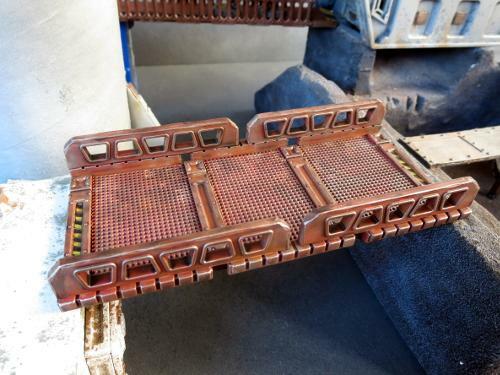 The edges are covered up with reinforcing struts from the Maelstrom's Edge terrain sprue. 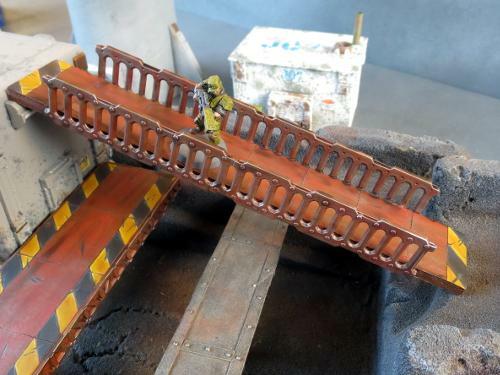 This is another strip of 5mm foamcore, but this time I've used ladders from the terrain sprue glued sideways along the edges to create handrails. This catwalk is also a little narrower than the first. Varying the width of your catwalks allows for some visual variety, and also mixes up how the catwalk will function in-game, by changing what can fit on it, and whether or not troops will be able to easily block off enemy advances along it. 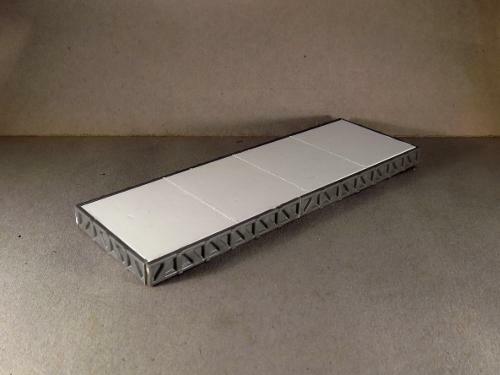 This one starts with another strip of foamcore, but this time I have glued a sheet of aluminium mesh to the top. Support struts from the terrain sprue are cut to size and glued around the perimeter of the top to hold the mesh down and cover the cut edges, and more support struts run around the outside edge of the foamcore to pretty things up. 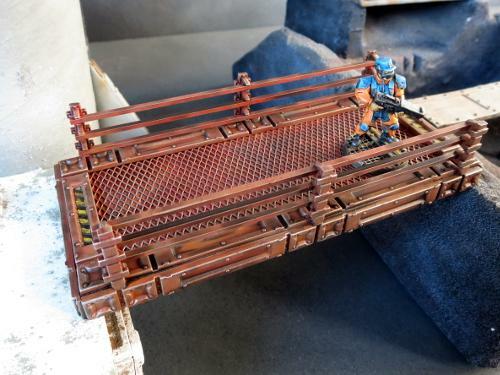 The handrails are made using the top halves of half a dozen energy fence poles, with the railings cut from lengths of 1.5mm x 2mm plastic rod. 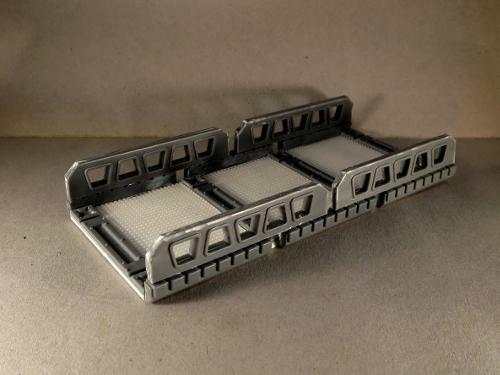 This catwalk uses 1.2mm plasticard, with some embroidery mesh cut to size and glued on top to add some texture, interspersed with support struts from the terrain sprue. 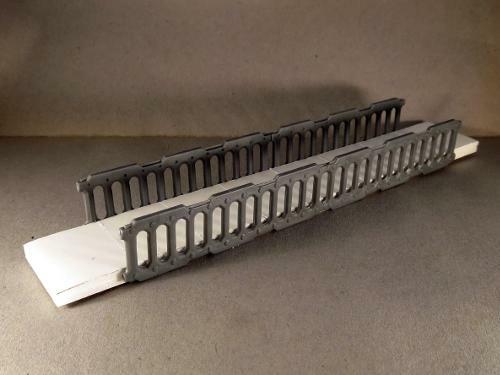 The handrails are made from lintel pieces from the terrain sprue topped with leftover window strips cut from doors I used a few weeks back for barriers in my scatter terrain article. Back to the foamcore for this one, with the embroidery mesh once again providing some detail on the top. The handrails use the bottom halves of the fence posts used for the 3rd catwalk, with railings made from 1.6mm round plastic rod. 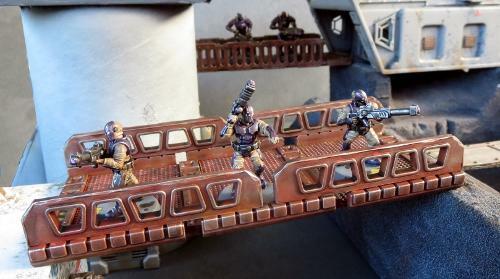 The legs are door frames that were also left over from the scatter terrain article. These are obviously just scratching the surface. You can easily mix up these designs by changing the dimensions or detailing. 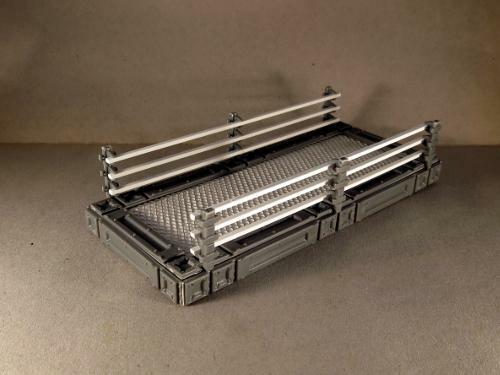 Replacing the foamcore with sturdy mesh gives you a more open, industrial style. 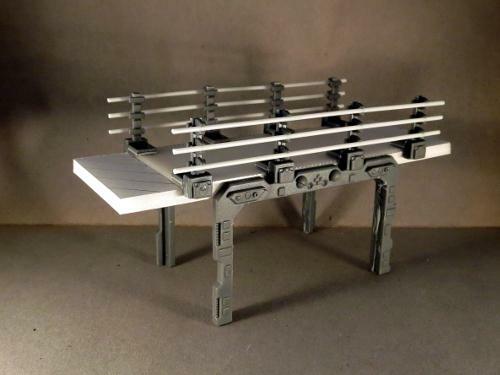 You could even build some junction pieces and lay out catwalks on the table for a space corridor bug-fight! 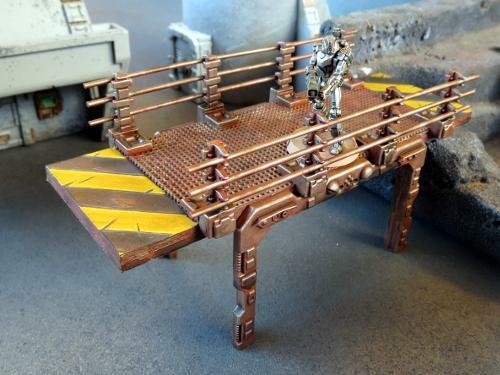 If you're feeling inspired and need more catwalks in your life, you can pick up the Maelstrom's Edge terrain sprue from the webstore here. As always, feel free to share your creations on the Comm Guild Facebook page!